Motherhood is a funny thing…when I finally feel like I’ve got the hang of it, it changes again and I have to start back at square one. Now that I’m past that the nighttime feedings, the days upon days of no sleep, teething and potty training, my days have become more normal and I’ve started dreaming again. Dreaming about what my life could look like and all the things I want to do. So I’ve taken steps to do some of them…writing this blog, starting an intergenerational faith program at church, working on an eBook. But all these things, combined with my duties as a wife and mother, are starting to overwhelm. Between the never-ending laundry, cleaning, grocery shopping, keeping up with social media, finding time to work on crafts or read, I just feel like my life is just passing me by like a fast-moving train, and I can’t enjoy it or even really participate fully in it. 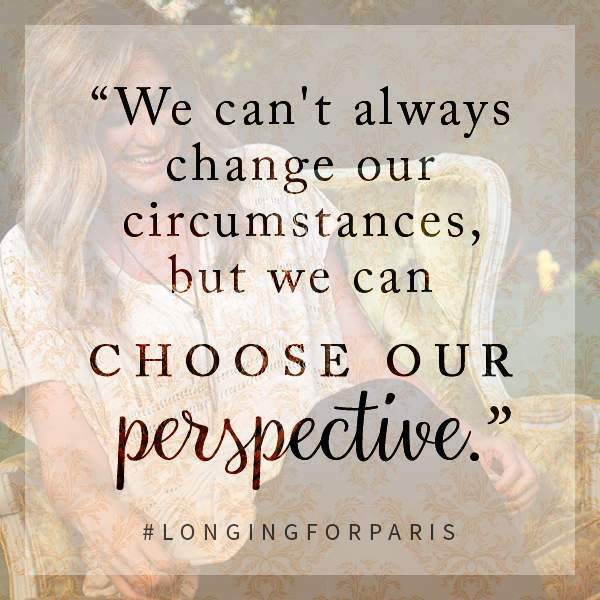 That’s why I’m so grateful that Sarah Mae has released her new book Longing for Paris: One Woman’s Search for Joy, Beauty, and Adventure-Right Where She Is (affiliate link). Sarah has had all these same feelings and experiences and has written about what she did to live out her dreams in the place that she is in…right at home with her children. Growing up dreaming about the beauty of the city of Paris, Sarah describes how she imagines walking through the city, taking in the beautiful architecture, eating all the delectable food, writing all day and having meaningful discussions with artistic friends at night. This dream of hers is beautiful, but it conflicts with her reality as a mom of 3, settled in the Amish countryside. Because that’s the thing…I think most moms, myself included, LOVE being moms. We love our children very deeply, and wouldn’t want to leave the place that we’re in…but sometimes, trying to catch up with all the stuff that needs to be done leaves us frantic, exhausted, and completely unaware of the beauty all around us. And then there’s the guilt for even thinking about having dreams of things and places outside of our homes. Fortunately, as Sarah points out, our dreams are good. 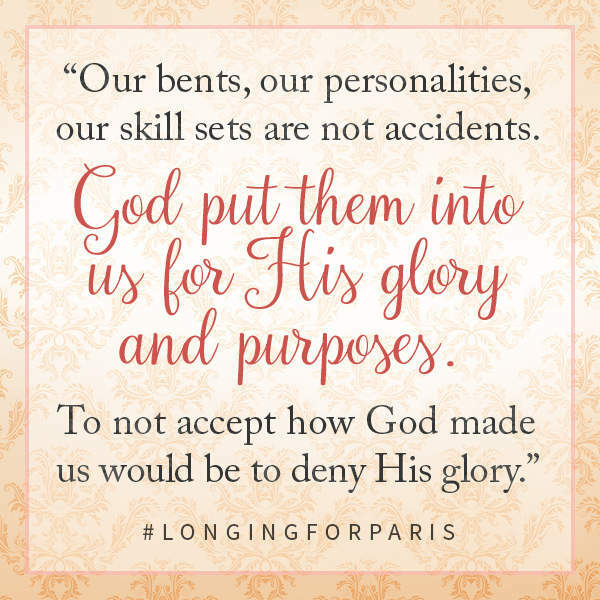 They were placed inside of us by a loving God who has a purpose for us. There’s no need to completely let go of these dreams, but while we are in this season of mothering, we may need to let them sort of simmer a bit until we’re ready for them. Sarah also tells us in Longing for Paris (affiliate link) that it’s important to wake yourself up to what’s going on right around you, to look at the beauty in the natural surroundings, to fully savor and enjoy your food, instead of just wolfing it down, to enjoy music and art and books in your home or at a local museum. This sounds like a great book to read. I have always enjoyed the books Sarah has written in the past and this one looks like a great one too. This sounds like a good book. Thanks for sharing your review of it, Erin. 🙂 While I used to think I needed to be doing more as a woman, after everything we went through with David, I’ve learned to be happy and content with being a mom and those old feelings are gone. I try to remember that my kids get one mom and one childhood, and every day with them is a gift. You are so right Sandra 🙂 I know it was a very difficult road for your family, but I’m so very happy that David is healthy and happy again!